In the beginning, God was resting. There were no humans or anything else upon the earth at that time, and God had not done any work whatsoever. God only began His management work once humanity existed and once humanity had been corrupted. From this point on, God no longer rested but instead began to busy Himself among humanity. It was because of humanity’s corruption that God was taken from His rest, and it was also because of the archangel’s rebellion that God was taken from His rest. If God does not defeat Satan and save humanity, which has been corrupted, God will never again be able to enter into rest. As man lacks rest, so does God. When God once again enters into rest, man will also enter into rest. The life in rest is one without war, without filth, without persisting unrighteousness. This is to say that it lacks Satan’s harassment (here “Satan” refers to hostile forces), Satan’s corruption, as well as the invasion of any force opposed to God. Everything follows its own kind and worships the Lord of creation. Heaven and earth are entirely tranquil. This is humanity’s restful life. When God enters into rest, no more unrighteousness will persist upon the earth, and there will be no more invasion of any hostile forces. Humanity will also enter a new realm; they will no longer be a humanity corrupted by Satan, but rather a humanity that has been saved after having been corrupted by Satan. Humanity’s day of rest is also God’s day of rest. God lost His rest due to humanity’s inability to enter into rest; it was not that He was originally unable to rest. Entering into rest does not mean that all things will cease to move, or that all things will cease to develop, nor does it mean that God will cease to work or man will cease to live. The sign of entering into rest is as thus: Satan has been destroyed; those wicked people who join Satan in its evildoing have been punished and wiped out; all forces hostile to God cease to exist. God entering into rest means that He will no longer carry out His work of humanity’s salvation. Humanity entering into rest means that all of humanity will live within God’s light and under His blessings; there will be none of Satan’s corruption, nor will any unrighteous things occur. Humanity will live normally upon earth, and they will live under God’s care. When God and man enter into rest together, it will mean that humanity has been saved and that Satan has been destroyed, that God’s work among man has finished entirely. God will no longer continue to work among man, and man will no longer live under Satan’s domain. Therefore, God will no longer be busy, and man will no longer rush about; God and man will enter into rest simultaneously. God will return to His original position, and each person will return to his or her respective place. These are the destinations that God and man will respectively reside in after the end of God’s entire management. God has God’s destination, and man has man’s destination. While resting, God will continue to guide all of humanity in their lives upon earth. While in God’s light, man will worship the one true God in heaven. God will no longer live among humanity, and man will also be unable to live with God in God’s destination. God and man cannot live within the same realm; rather, both have their own respective manners of living. God is the One who guides all of humanity, while all of humanity is the crystallization of God’s management work. It is humanity who is led; in regard to essence, humanity is not similar to God. To rest means to return to one’s original place. Therefore, when God enters into rest, it means that God returns to His original place. God will no longer live upon the earth or share in humanity’s joy and suffering while among humanity. When humanity enters into rest, it means that man has become a true creation; humanity will worship God from upon the earth and have normal human lives. People will no longer be disobedient to God or resist God; they will return to the original life of Adam and Eve. These are the respective lives and destinations of God and humanity after they enter into rest. Satan’s defeat is an inevitable trend in the war between God and Satan. In this way, God’s entering into rest after the completion of His management work and man’s complete salvation and entrance into rest likewise become inevitable trends. Man’s place of rest is on earth, and God’s place of rest is in heaven. While man worships God in rest, he will live upon earth, and while God leads the remaining portion of humanity in rest, He will lead them from heaven, not from earth. God will still be the Spirit, while man will still be flesh. God and man both have their different respective manners of resting. While God rests, He will come and appear among man; while man rests, he will be led by God to visit heaven and also to enjoy life in heaven. After God and man enter into rest, Satan will no longer exist, and like Satan, those wicked people will also no longer exist. Before God and man enter into rest, those wicked individuals who once persecuted God upon earth and the enemies who were disobedient to Him upon earth will have already been destroyed; they will have been destroyed by the great disasters of the last days. After those wicked individuals have been completely destroyed, earth will never again know Satan’s harassment. Humanity will obtain complete salvation, and it will only be then that God’s work ends completely. These are the prerequisites for God and man to enter into rest. The approach of the end of all things indicates the end of God’s work and indicates the end of humanity’s development. This means that humanity as corrupted by Satan has reached their end of development, and that the descendants of Adam and Eve have propagated to their respective ends, and it also means that it is impossible for such a humanity, having been corrupted by Satan, to continue to develop. The Adam and Eve in the beginning had not been corrupted, but the Adam and Eve that were driven from the Garden of Eden were corrupted by Satan. When God and man enter into rest together, Adam and Eve—who were driven from the Garden of Eden—and their descendants will finally come to a close; the humanity of the future will still consist of the descendants of Adam and Eve, but they will not be people who live under Satan’s domain. Rather, they will be people who have been saved and purified. This will be a humanity that has been judged and chastised, and one that is holy. These people will not be similar to the human race as it originally was; one can almost say that they are an entirely different kind of person from the original Adam and Eve. These people will have been selected from among all of those who were corrupted by Satan, and they will be the people who have ultimately stood firm during God’s judgment and chastisement; they will be the last remaining group of people among corrupt mankind. Only this group of people will be able to enter into the final rest together with God. Those who are able to stand firm during God’s work of judgment and chastisement during the last days—that is, during the final work of cleansing—will be those who will enter into the final rest with God; therefore, those who enter into rest will all have broken free of Satan’s influence and been obtained by God only after having undergone His final cleansing work. These people who have been ultimately obtained by God will enter into the final rest. The essence of God’s work of chastisement and judgment is to cleanse humanity, and it is for the day of final rest. Otherwise, the whole of humanity will not be able to follow their own kind or enter into rest. This work is humanity’s only path to enter into rest. Only God’s work of cleansing will cleanse humanity of their unrighteousness, and only His work of chastisement and judgment will bring to light those disobedient things among humanity, thereby separating those who can be saved from those who cannot, and those who will remain from those who will not. When His work ends, those people who remain will be cleansed and enjoy a more wonderful second human life upon the earth as they enter a higher realm of humanity; in other words, they will enter into humanity’s day of rest and live together with God. After those who cannot remain have undergone chastisement and judgment, their original forms will be entirely revealed; after this they will all be destroyed and, like Satan, will no longer be allowed to survive upon the earth. The humanity of the future will no longer contain any of this type of people; these people are not fit to enter the land of the ultimate rest, nor are they fit to enter the day of rest that God and man will share, for they are the targets of punishment and are the wicked, and they are not righteous people. They had been redeemed once, and they had also been judged and chastised; they had also once rendered service to God, but when the final day comes, they will still be eliminated and destroyed because of their own wickedness and because of their own disobedience and irredeemability. They will no longer exist upon the world of the future, and they will no longer exist among the human race of the future. Any and all evildoers and any and all who have not been saved will be destroyed when the holy among humanity enter into rest, regardless of whether they are the spirits of the dead or those who still live in the flesh. Regardless of what era to which these evildoing spirits and evildoing people, or the spirits of righteous people and those people who do righteousness belong, any evildoers will be destroyed, and any righteous people will survive. Whether a person or spirit receives salvation is not entirely decided based upon the work of the final age, but is rather determined based upon whether they have resisted or been disobedient to God. If people in the previous era did evil and could not be saved, they would undoubtedly be targets for punishment. If people in this era do evil and cannot be saved, they are also surely targets for punishment. People are separated on the basis of good and evil, not on the basis of the era. Once separated on the basis of good and evil, people are not immediately punished or rewarded; rather, God will only carry out His work of punishing evil and rewarding good after carrying out His work of conquering in the last days. Actually, He has been using good and evil to separate humanity ever since He carried out His work among humanity. He will merely reward the righteous and punish the wicked upon completion of His work, rather than separating the wicked and the righteous upon completing His work in the end and then immediately setting about His work of punishing evil and rewarding good. His ultimate work of punishing evil and rewarding good is entirely done in order to utterly purify all of humanity, so that He may bring an entirely holy humanity into eternal rest. This stage of His work is His most crucial work. It is the final stage of the whole of His management work. If God did not destroy the wicked but rather let them remain, then the whole of humanity would still not be able to enter into rest, and God would not be able to bring all of humanity into a better realm. This kind of work would not be completely finished. When He finishes His work, the whole of humanity will be entirely holy. Only in this manner can God peacefully live in rest. People today are unable to part with things of the flesh; they cannot give up the enjoyment of the flesh, nor can they give up the world, money, or their corrupt disposition. Most people go about their pursuits in a perfunctory manner. Actually, these people do not have God in their hearts at all; more so, they do not fear God. They do not have God in their hearts, and so they cannot perceive all that God does, and are even more unable to believe the words He speaks from His mouth. These people are too fleshly; they are too deeply corrupted and lack any truth whatsoever, what is more, they do not believe that God can become flesh. Anyone who does not believe in God incarnate—that is, anyone who does not believe the work and speech of the visible God and does not believe in the visible God but instead worships the invisible God in heaven—does not have God in his or her heart. They are people who are disobedient to and resist God. These people lack humanity and reason, to say nothing of truth. For these people, the visible and tangible God all the more cannot be believed, yet the invisible and intangible God is the most credible and also the most gladdening to their hearts. What they seek is not the truth of reality, nor is it the true essence of life, much less God’s intentions; rather, they pursue excitement. Whichever things are most capable of letting them attain their own desires are, without a doubt, their faiths and pursuits. They only believe in God in order to satisfy their own desires, not to seek the truth. Are these people not evildoers? They are extremely self-confident, and they do not believe that God in heaven will destroy them, these “good people.” Instead, they believe that God will allow them to remain and, moreover, will reward them handsomely, for they have done many things for God and displayed a great deal of “loyalty” toward Him. If they were to pursue the visible God, they would immediately strike back against God or fly into a rage once their desires were to fall through. These are vile people who seek to satisfy their own desires; they are not people of integrity in pursuit of the truth. Such people are the so-called wicked people who follow Christ. Those people who do not seek the truth cannot believe the truth. They are all the more unable to perceive humanity’s future outcome, for they do not believe any work or speech of the visible God, and they cannot believe in humanity’s future destination. Therefore, even if they follow the visible God, they still commit evil and do not seek the truth, nor do they practice the truth that I require. Those people who do not believe that they will be destroyed are conversely the very individuals who will be destroyed. They all believe themselves to be so clever, and they believe that they themselves are those who practice the truth. They consider their evil conduct to be the truth and thereby cherish it. These wicked people are very self-confident; they take the truth to be doctrine, and take their evil acts to be truth, and in the end they can only reap what they have sown. The more self-confident people are and the more wildly arrogant they are, the more they are unable to obtain truth; the more people believe in the heavenly God, the more they resist God. These are the people who will be punished. Before humanity enters into rest, whether each kind of person is punished or rewarded will be determined according to whether they seek the truth, whether they know God, whether they can obey the visible God. Those who have rendered service to the visible God yet do not know or obey Him lack truth. These people are evildoers, and evildoers will undoubtedly be punished; furthermore, they shall be punished according to their wicked conduct. God is for man to believe in, and He is also worthy of man’s obedience. Those who only believe in the vague and invisible God are those who do not believe in God; furthermore, they are unable to obey God. If these people still cannot believe in the visible God by the time His work of conquering is finished, and also persist in being disobedient to and resisting the God who is visible in the flesh, these vagueists will, without a doubt, be destroyed. It is as it is with those among you—anyone who verbally recognizes God incarnate yet cannot practice the truth of obedience to God incarnate will ultimately be eliminated and destroyed, and anyone who verbally recognizes the visible God and also eats and drinks of the truth expressed by the visible God yet seeks after the vague and invisible God will all the more be destroyed in the future. None of these people can remain until the time of rest after God’s work has finished; there can be no one like these people who remain until the time of rest. The demonic people are those who do not practice the truth; their essence is one of resisting and being disobedient to God, and they do not have the slightest intentions of obeying God. Such people will all be destroyed. Whether you have truth and whether you resist God are determined according to your essence, not according to your appearance or your occasional speech and conduct. Every person’s essence decides whether they will be destroyed; this is determined according to the essence revealed by their conduct and their pursuit of the truth. Among people who similarly do work and also do similar amounts of work, those whose human essences are good and who possess truth are the people who can remain, but those whose human essences are evil and who disobey the visible God are those who shall be destroyed. Any of God’s work or words directed at humanity’s destination deals with humanity appropriately according to each person’s essence; there will be no accidents, and there will certainly not be the slightest error. Only when a person carries out work will human emotion or meaning be mixed in. The work God does is the most suitable; He absolutely will not bring false claims against any creature. There are now many people who are unable to perceive humanity’s future destination and who also do not believe the words I speak; all those who do not believe, along with those who do not practice truth, are demons! Those who seek and those who do not seek are now two different types of people, and they are two types of people with two different destinations. Those who pursue knowledge of the truth and practice the truth are the people whom God will save. Those who do not know the true way are demons and enemies; they are the descendants of the archangel and will be destroyed. Even the pious believers of a vague God—are they not also demons? People who possess good consciences but do not accept the true way are demons; their essence is one of resistance to God. Those who do not accept the true way are those who resist God, and even if these people endure many hardships, they will still be destroyed. Those who are unwilling to abandon the world, who cannot bear to part with their parents, who cannot bear to rid themselves of their own enjoyments of the flesh are all disobedient to God and will all be destroyed. Anyone who does not believe in God incarnate is demonic; more so, they will be destroyed. Those who believe but do not practice the truth, those who do not believe in God incarnate, and those who do not at all believe in God’s existence will be destroyed. Anyone who is able to remain is a person who has undergone the bitterness of refinement and stood firm; this is a person who has truly undergone trials. Anyone who does not recognize God is an enemy; that is, anyone within or without this stream who does not recognize God incarnate is an antichrist! Who is Satan, who are demons, and who are God’s enemies if not resisters who do not believe in God? Are they not those people who are disobedient to God? Are they not those people who verbally claim to believe yet lack truth? Are they not those people who only pursue the obtaining of blessings yet cannot bear witness for God? You can still hobnob with those demons today and stress conscience and love with these demons; is this not considered extending good intentions to Satan? Is it not considered associating with demons? If people are still unable to distinguish between good and evil today, and still blindly stress love and pity without in any way hoping to seek God’s will, and cannot in any way have God’s heart as their own, their endings will be all the more wretched. Anyone who does not believe in the God in the flesh is an enemy of God. If you can stress conscience and love to an enemy, do you not lack a sense of righteousness? If you are compatible with those which I detest and disagree with, and still stress love or personal feelings with them, are you not then disobedient? Are you not intentionally resisting God? Does a person like this possess truth? If people stress conscience to enemies, stress love to demons and stress pity to Satan, are they not intentionally interrupting God’s work? 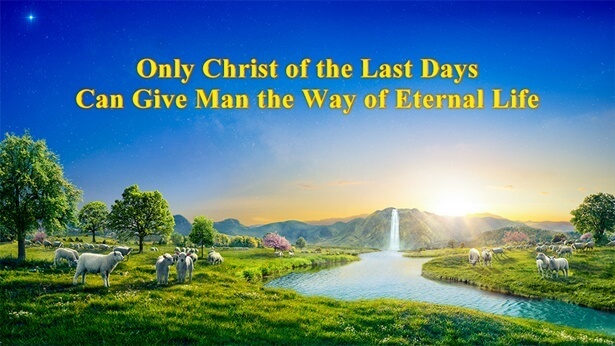 Those people who believe only in Jesus and do not believe in God incarnate during the last days and those who verbally claim to believe in God incarnate but do evil are all antichrists, let alone those people who do not believe in God. These people will all be destroyed. The standard by which man judges man is based on his behavior; one whose conduct is good is a righteous person, and one whose conduct is abominable is wicked. The standard by which God judges man is based on whether one’s essence obeys Him; one who obeys God is a righteous person, and one who does not obey God is an enemy and a wicked person, regardless of whether this person’s behavior is good or bad, and regardless of whether this person’s speech is correct or incorrect. Some people wish to use good deeds to obtain a good destination of the future, and some people wish to use good speech to purchase a good destination. People falsely believe that God determines man’s outcome according to his behavior or speech, and therefore many people will seek to use this to gain a temporary favor through deceit. The people who will later survive through rest will all have endured the day of tribulation and also borne witness for God; they will all be people who have done their duty and intend to obey God. Those who merely wish to use the opportunity to do service to avoid practicing truth will not be able to remain. God has appropriate standards for the arrangement of the outcomes of all people; He does not merely make these decisions according to one’s words and conduct, nor does He make them according to their behavior during a single period of time. He will absolutely not be lenient toward all of one’s wicked conduct because of one’s past service for God, nor will He spare one from death because of a one-time expense for God. No one can evade retribution for their wickedness, and no one can cover up their wicked conduct and thereby evade the torment of destruction. If one can truly do one’s own duty, then this means that they are eternally faithful to God and do not seek rewards, regardless of whether they receive blessings or suffer misfortune. If people are faithful to God when they see blessings but lose their faithfulness when they cannot see blessings and in the end are still unable to bear witness for God and still unable to do their duty as they should, these people who once rendered service to God faithfully will still be destroyed. In short, wicked people cannot survive through eternity, nor can they enter into rest; only the righteous are the masters of rest. After humanity enters into the right track, people will have normal human lives. They will all do their own respective duty and be absolutely faithful to God. They will utterly shed their disobedience and their corrupt disposition, and they will live for God and because of God. They will lack disobedience and resistance. They will be able to entirely obey God. This is the life of God and man and the life of the kingdom, and it is the life of rest. Those who take their utterly unbelieving children and relatives into church are too selfish and show their kindness. These people stress only love, with no regard as to whether they believe or whether it is God’s will. Some bring their wives before God, or bring their parents before God, and regardless of whether the Holy Spirit agrees or carries out His work, they blindly “adopt talented people” for God. What benefit can possibly be gained from extending this kindness toward these people who do not believe? Even if these unbelievers who are without the presence of the Holy Spirit struggle to follow God, they still cannot be saved as one believes they can. Those who receive salvation are not actually that easy to obtain. Those who have not undergone the Holy Spirit’s work and trials and have not been perfected by God incarnate cannot be completed at all. Therefore, these people lack the Holy Spirit’s presence from the moment they begin to nominally follow God. According to their conditions and actual states, they simply cannot be made complete. So, the Holy Spirit does not decide to expend much energy upon them, nor does He provide any enlightenment or guide them in any way; He merely allows them to follow along and ultimately reveals their outcome—this is enough. Man’s enthusiasm and intentions come from Satan, and in no way can they complete the Holy Spirit’s work. No matter what kind of person one is, one must have the work of the Holy Spirit—can a person complete a person? Why does a husband love his wife? And why does a wife love her husband? Why are children dutiful to their parents? And why do parents dote on their children? What kinds of intentions do people really harbor? Is it not in order to satisfy one’s own plans and selfish desires? Is it really for God’s management plan? Is it for God’s work? Is it to fulfill a creature’s duty? Those who first believed in God and could not obtain the presence of the Holy Spirit can never obtain the work of the Holy Spirit; it has been determined that these people will be destroyed. No matter how much love one has for them, it cannot replace the work of the Holy Spirit. Man’s enthusiasm and love represent the intentions of man, but cannot represent God’s intentions and cannot replace God’s work. Even if one extends the greatest possible amount of love or pity toward those people who nominally believe in God and pretend to follow Him but do not know what it is to believe in God, they will still not obtain God’s sympathy or obtain the work of the Holy Spirit. Even if people who sincerely follow God are of poor caliber and cannot understand many truths, they can still occasionally obtain the work of the Holy Spirit, but those who are of rather good caliber yet do not sincerely believe simply cannot obtain the Holy Spirit’s presence. There is simply no possibility for salvation with these people. Even if they read God’s word or occasionally hear the messages or sing praises to God, in the end they will not be able to remain through the time of rest. Whether one seeks sincerely is not determined by how others judge them or how the people around view them, but by whether the Holy Spirit works upon them and whether they have the presence of the Holy Spirit, and it is all the more determined by whether their disposition changes and whether they have knowledge of God after undergoing the Holy Spirit’s work over a certain period; if the Holy Spirit works upon a person, this person’s disposition will gradually change, and their view on believing in God will gradually grow purer. Regardless of how long one follows God, as long as they have changed, this means that the Holy Spirit works upon them. If they have not changed, this means that the Holy Spirit does not work upon them. Even if these people render some service, they are instigated by their intentions to obtain good fortune. Occasional service cannot replace a change in their disposition. Ultimately they will still be destroyed, for there is no need for those who render service within the kingdom, nor is there need for anyone whose disposition has not changed to be of service to those people who have been perfected and who are faithful to God. Those words from the past, “When one believes in the Lord, fortune smiles upon one’s entire family,” are suitable for the Age of Grace but are unrelated to man’s destination. They were only appropriate for a stage during the Age of Grace. The intended meaning of these words is directed at the peace and material blessings that people enjoy; they do not mean that the entire family of one who believes in the Lord will be saved, nor do they mean that when one obtains good fortune, one’s entire family will also be brought into rest. Whether one receives blessings or suffers misfortune is determined according to one’s essence, and is not determined according to the common essence one shares with others. The kingdom simply does not have this kind of saying or this kind of rule. If one is ultimately able to survive, it is because one has achieved God’s requirements, and if one is ultimately unable to remain at the time of rest, it is because this person is disobedient to God and has not satisfied God’s requirements. Everyone has a suitable destination. These destinations are determined according to each person’s essence and are completely unrelated to others. A child’s wicked conduct cannot be transferred to his or her parents, and a child’s righteousness cannot be shared with his or her parents. A parent’s wicked conduct cannot be transferred to his or her children, and a parent’s righteousness cannot be shared with his or her children. Everyone bears his or her respective sins, and everyone enjoys his or her respective fortune. No one can substitute for another. This is righteousness. In man’s view, if parents obtain good fortune, so can their children, and if children commit evil, their parents must atone for their sins. This is man’s perspective and man’s way of doing things. It is not God’s perspective. Everyone’s outcome is determined according to the essence that comes from their conduct, and it is always determined appropriately. No one can bear the sins of another; even more so, no one can receive punishment in another’s stead. This is absolute. A parent’s doting care for his or her children does not mean that they can perform righteous deeds in their children’s stead, nor does the dutiful affection of a child to his or her parents mean that they can perform righteous deeds in their parents’ stead. This is the true meaning behind the words, “Then shall two be in the field; the one shall be taken, and the other left. Two women shall be grinding at the mill; the one shall be taken, and the other left.” No one can take their evildoing children into rest on the basis of their deep love for their children, nor can one take their wife (or husband) into rest on the basis of their own righteous conduct. This is an administrative rule; there can be no exceptions for anyone. Doers of righteousness are doers of righteousness, and evildoers are evildoers. Doers of righteousness will be able to survive, and evildoers will be destroyed. The holy are holy; they are not filthy. The filthy are filthy, and they do not contain a single holy part. All wicked people shall be destroyed, and all righteous people shall survive, even if the children of an evildoer perform righteous deeds, and even if the parents of a righteous person commit wicked deeds. There is no relationship between a believing husband and an unbelieving wife, and there is no relationship between believing children and unbelieving parents. They are two incompatible types. Prior to entering into rest, one has physical relatives, but once one has entered into rest, one no longer has any physical relatives to speak of. Those who do their duty and those who do not are enemies; those who love God and those who hate God are opposed to one another. Those who enter into rest and those who have been destroyed are two incompatible types of creatures. Creatures that fulfill their duty will be able to survive, and creatures that do not fulfill their duty will be destroyed; what is more, this shall last through eternity. Do you love your husband in order to fulfill your duty as a creature? Do you love your wife in order to fulfill your duty as a creature? Are you dutiful to your unbelieving parents in order to fulfill your duty as a creature? Is man’s view on believing in God right or not? Why do you believe in God? What do you want to gain? How do you love God? Those that cannot fulfill their duty as creatures and cannot make a full effort will be destroyed. People today have physical relationships among one another, as well as associations by blood, but later this will all be shattered. Believers and unbelievers are not compatible but rather opposed to one another. Those in rest believe that there is a God and are obedient to God. Those who are disobedient to God will have all been destroyed. Families will no longer exist upon earth; how could there be parents or children or relationships between husbands and wives? The very incompatibility of belief and unbelief will have severed these physical relationships! There were originally no families among humanity, only man and woman, two kinds of people. There were no countries, to say nothing of families, but due to man’s corruption, all kinds of people organized themselves into individual clans, later developing into countries and nations. These countries and nations were constituted of small individual families, and in this manner all kinds of people were distributed among various races according to differences in language and dividing boundaries. Actually, regardless of how many races there are in the world, humanity has only one ancestor. In the beginning, there were only two kinds of people, and these two kinds were man and woman. However, due to the progress of God’s work, the elapsing of history and geographical changes, to various degrees these two kinds of people developed into even more kinds of people. When it comes down to it, regardless of how many races humanity consists of, all of humanity is still God’s creation. No matter what race people belong to, they are all His creatures; they are all the descendants of Adam and Eve. Even though they are not made by the hands of God, they are the descendants of Adam and Eve, whom God personally created. No matter which type people belong to, they are all His creatures; since they belong to humanity, which was created by God, their destination is that which humanity should have, and they are divided according to the rules that organize humanity. That is to say, evildoers and the righteous are, after all, creatures. Creatures that commit evil will ultimately be destroyed, and creatures who perform righteous deeds will thereby survive. This is the most suitable arrangement for these two kinds of creatures. Evildoers cannot, due to their disobedience, deny that they are God’s creation but have been plundered by Satan and are thus unable to be saved. Creatures with righteous conduct cannot rely on the fact that they will survive to deny that they have been created by God yet have received salvation after having been corrupted by Satan. Evildoers are creatures who are disobedient to God; they are creatures that cannot be saved and have already been completely plundered by Satan. People who commit evil are also people; they are people who have been corrupted to the extreme and people that cannot be saved. Just as they are also creatures, people of righteous conduct have also been corrupted, but they are people who are willing to break free of their corrupt disposition and are capable of obeying God. People of righteous conduct do not brim with righteousness; rather, they have received salvation and broken free of their corrupt disposition to obey God; they will stand fast in the end, but this is not to say that they have not been corrupted by Satan. After God’s work ends, among all His creatures, there will be those who will be destroyed and those who will survive. This is an inevitable trend of His management work. No one can deny this. Evildoers cannot survive; those who obey and follow Him to the end are certainly to survive. As this work is that of humanity’s management, there will be those who remain and those who are eliminated. These are different outcomes of different types of people, and these are the most suitable arrangements for His creatures. God’s ultimate arrangement for mankind is to divide by shattering families, shattering nations and shattering national borders. It is one without families and national borders, for man is, after all, of one ancestor and is God’s creation. In short, evildoing creatures will be destroyed, and creatures that obey God will survive. In this way, there will be no families, no countries and especially no nations in the rest of the future; this kind of humanity is the holiest kind of humanity. Adam and Eve were originally created so that man could take care of all things on earth; man was originally the master of all things. Jehovah’s intention in creating man was to allow man to exist upon the earth and also take care of all things upon it, for man had not originally been corrupted and was also incapable of committing evil. However, after man was corrupted, he was no longer the caretaker of all things. And the purpose of God’s salvation is to restore this function of man, to restore man’s original reason and his original obedience; humanity in rest will be the very portrait of the result that His work of salvation hopes to attain. Although it will no longer be a life like the one in the Garden of Eden, its essence will be the same; humanity will merely no longer be its earlier uncorrupted self, but rather a humanity that was corrupted and then received salvation. These people who have received salvation will ultimately (that is, after His work has ended) enter into rest. Likewise, the outcomes of those who have been punished will also utterly be revealed in the end, and they will only be destroyed after His work has ended. This is to say that after His work is finished, those evildoers and those who have been saved will all be revealed, for the work of revealing all types of people (regardless of whether they are evildoers or the saved) will be carried out upon all people simultaneously. Evildoers will be eliminated, and those who can remain will simultaneously be revealed. Therefore, the outcomes of all types of people will be revealed simultaneously. He will not first allow a group of the people who have been saved to enter into rest before setting aside the evildoers and judging or punishing them a little at a time; the truth is not actually like this. When evildoers are destroyed and those who can survive enter into rest, His work in the entire universe will have finished. There will be no order of priority among those who receive blessings and those who suffer misfortune; those who receive blessings will live eternally, and those who suffer misfortune will perish for all eternity. These two steps of work shall be completed simultaneously. It is precisely because there are disobedient people that the righteousness of those obedient people shall be revealed, and it is precisely because there are those who have received blessings that the misfortune suffered by those evildoers for their wicked conduct shall be revealed. If God did not reveal evildoers, those people who sincerely obey God would never see the sun; if God did not take those who obey Him into a suitable destination, those who are disobedient to God would not be able to receive their deserved retribution. This is the process of His work. If He did not carry out this work of punishing evil and rewarding good, His creatures would never be able to enter into their respective destinations. Once mankind has entered into rest, the evildoers will be destroyed, all of humanity will enter into the right track, and every kind of person will be with their own kind in accordance with the functions that they should carry out. Only this will be humanity’s day of rest and the inevitable trend for humanity’s development, and only when humanity enters into rest will God’s great and ultimate accomplishment reach completion; this will be the coda of His work. This work will end all of humanity’s decadent physical life, and it will end the life of corrupt humanity. From here humanity shall enter into a new realm. Although man leads a physical existence, there are significant differences between the essence of his life and the essence of life of corrupt humanity. The meaning of his existence and the meaning of the existence of corrupt humanity are also different. Although this is not the life of a new kind of person, it can be said to be the life of a humanity that has received salvation and a life with humanity and reason regained. These are people who once were disobedient to God, and who were once conquered by God and then saved by Him; these are people who humiliated God and later bore witness to Him. Their existence, after undergoing and surviving His testing, is the most meaningful existence; they are people who bore witness to God before Satan; they are people who are fit to live. Those who will be destroyed are people who cannot stand witness to God and are not fit to live. Their destruction shall be due to their wicked conduct, and destruction is their best destination. When man later enters into the good realm, there will be none of the relationships between husband and wife, between father and daughter or between mother and son that man imagines he will find. At that time, man will follow his own kind, and the family will have already been shattered. Having completely failed, Satan will never disturb humanity again, and man will no longer have corrupt satanic disposition. Those disobedient people will have already been destroyed, and only those obedient people will survive. And so very few families will survive intact; how will physical relationships still be able to exist? Man’s past physical life will be utterly banned; how will physical relationships be able to exist between people? Without corrupt satanic disposition, the life of people will no longer be the old life of the past, but rather a new life. Parents will lose children, and children will lose parents. Husbands will lose wives, and wives will lose husbands. People now have physical relationships among one another. When they have all entered into rest there will be no more physical relationships. Only shall such humanity have righteousness and holiness, only shall such humanity be one that worships God.